Did someone actually think this through? 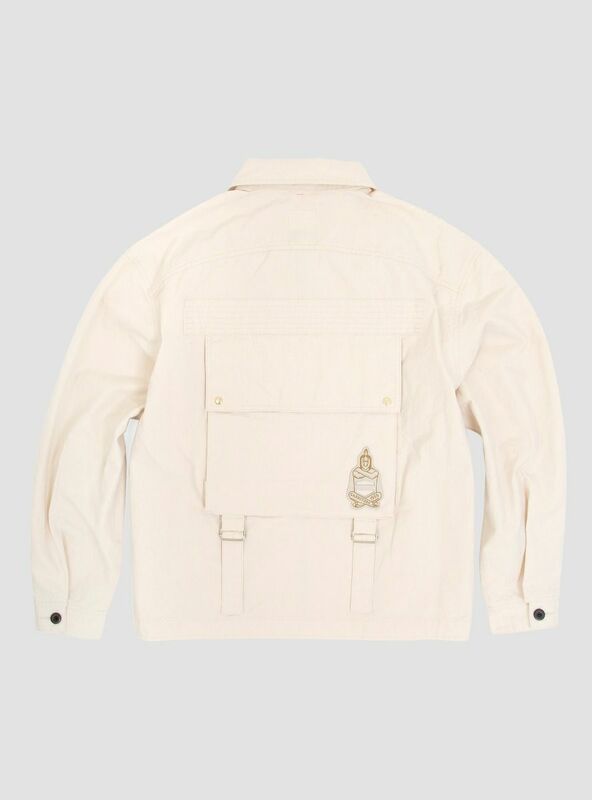 I do enjoy the idea of a jacket with a big pouch on the back. Indeed, I already enjoy the idea of a jacket with a big pouch on the back so much, I’ve never actually felt the need to buy a jacket with a big pouch on the back. In honesty, that probably won’t change with this Garbstore release. But for the sake of artificially stoking up a sense of drama, so you feel that reading this is a thrilling use of your time, let’s all pretend it might. That this is a fine looking piece is not the question. It’s just not clear what, if anything, might be appropriately transported in that pouch? Sandwiches? No, some coronation chicken juice might dribble from the packet onto your garm. An iPad? You might lean back in your chair and bust it. Some smokes? You’d have to take your coat off to get at them? In fact, whatever you put in there, you’d have to disrobe to access… Did someone actually think this through? Bit and bobs of this thing are drawn from the pages of history. Onboard you’ve got, “early Royal Flying Corps front pockets”, a “brass vintage Talon zip” and “reproduction military canvas.” One can only assume that back in ‘vintage days’ pilots had much longer, bendier arms. Like Mr Fantastic. Or Mr Tickle. Either way, it looks great. 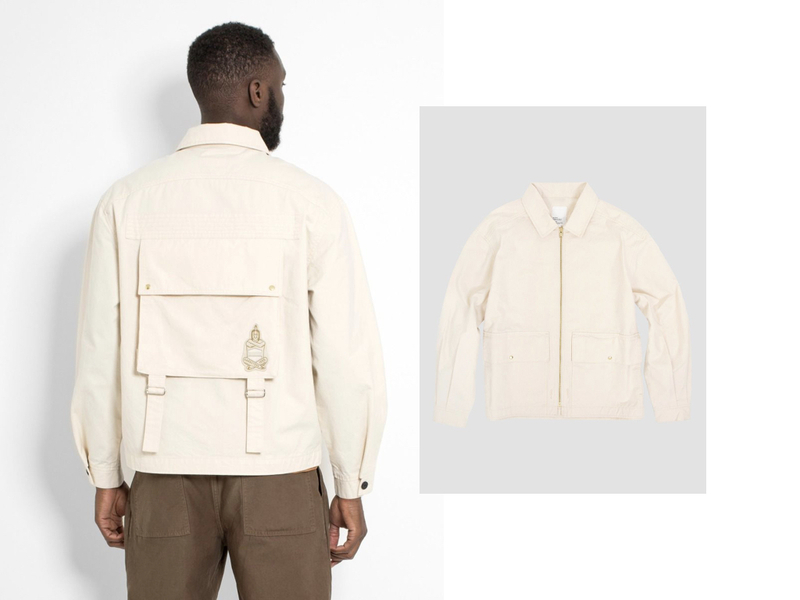 And with that rear pocket, it’s a fine addition to the creative menswear tradition of unnecessary seams, too many, or not enough buttons and impractically large hats. I’m still not buying it though.